It can be very irksome to see the basement or yard filled with water after a storm. This usually happens in the absence of a proper drainage system. You need to find the local go to company to install the proper storm water drainage solutions for your home. 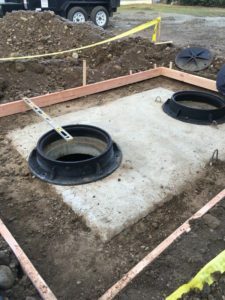 Vac Tec LLC is a reliable company that offers quality drainage solutions for homes and commercial properties for Bethel, WA residents. Drainage problems resolve themselves. 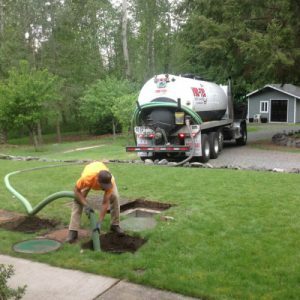 Call us if you need drainage solutions for your home or business in Bethel, WA. We believe that you and your property deserve only the best drainage solutions. That is why we thoroughly assess your property to develop the most effective drainage solutions to channel water away from your property. Having the proper downspout drainage system on your home will ensure that no water collects on the roof or where it should not on your property. You need the help of the professionals to install downspout drain lines to divert the water properly. With us as the company providing reliable drainage solutions for your home, you need not worry. We use the best quality equipment and techniques to complete the work within the schedule time and within your budget for the project. We are the ideal company to choose for curtain drain installation in Bethel as we qualify on all these aspects. We will assess your property and install the right one that will be beneficial for your home. You will always receive a written estimate prior to any work beginning. We will provide you a curtain drain detail and the proposed depth of the drain that will be suitable for your home. 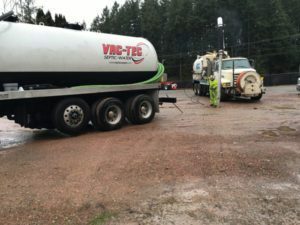 Feel free to call Vac-Tec LLC at (253) 777-4887 for any drain repair or installation services in Bethel.